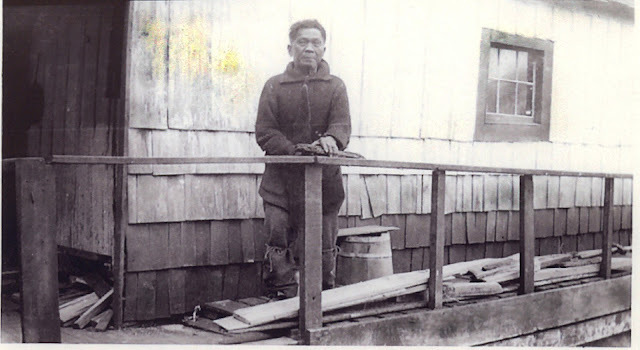 If you look at history books, all of them will say the first Filipino immigrants in Canada arrived in 1930, mostly residing in Winnipeg, Manitoba. While I was in Bowen Island, which is about a 20 minute ferry ride from Horseshoe Bay, West Vancouver, across a distance of 3 nautical miles, I went to the library and got hold of the book titled “Bowen Island 1872 – 1972” by Irene Howard. I wanted to know the history of the place I was about to explore. (A beachcomber is someone who "combs" or searches the beach, and the intertidal zone in general, looking for things of value, interest, utility or food like crabs). Flores family cabin at right. Mother and kids in the background unknown. 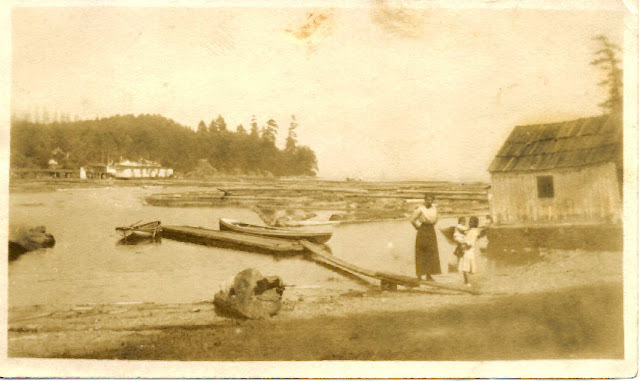 Dorothy Lawson archivist, at the Bowen Island Community Museum and Archives, said the Flores family were in Bowen Island before the Dormans, one of the early families. She thinks Matilda and William are Benson's wife and son. 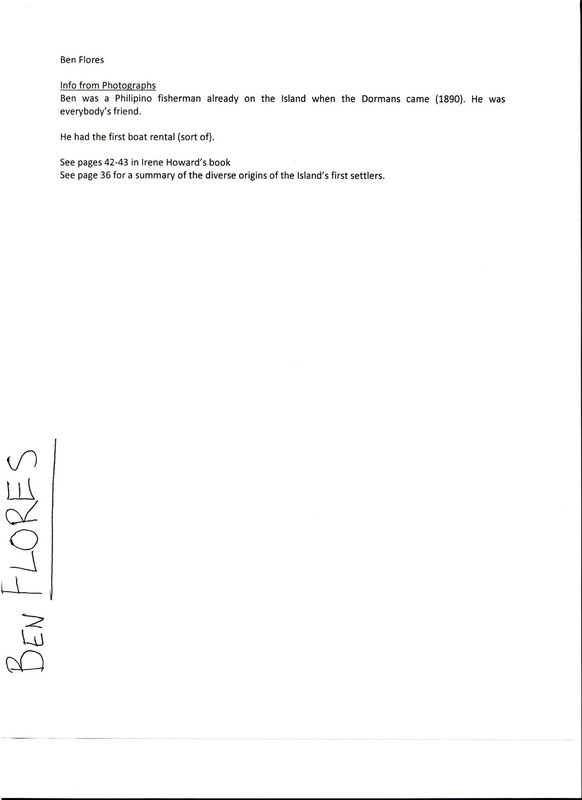 I have attached a scan of the only reference we have to Ben Flores in our Biographical Database. It looks like the information was written on the back of a photograph however I cannot locate the actual photograph it was written on. I will send on any other information we may find in our search. Thank you for Irene Howard’s email address. So there you have it, the first Filipinos in Canada at least on record was 40 years ahead of current encyclopedic documentation. BC makes sense as the first landing of Filipinos because at that time Filipinos were a significant part of Hawaii. Within the same straight, Salt Spring Island had a community of Hawaiians in the 1870s. 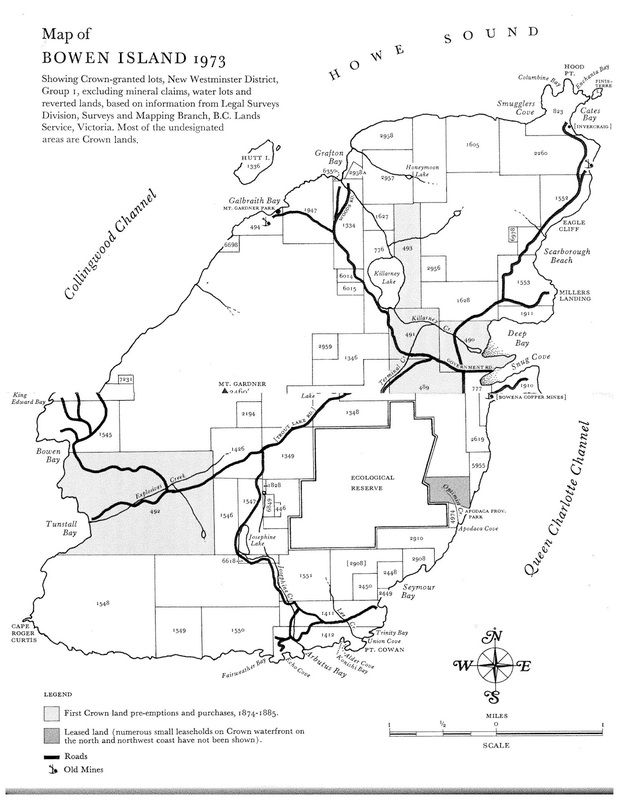 It was highly likely that some Filipino Hawaiians were part of the enclave, and through word-of-mouth, other Filipinos from Hawaii and south of the border might have been adventurous to explore other areas of Western Canada. There are however no records of Filipinos in Salt Spring or other places in the province. If you find one, please tell me. 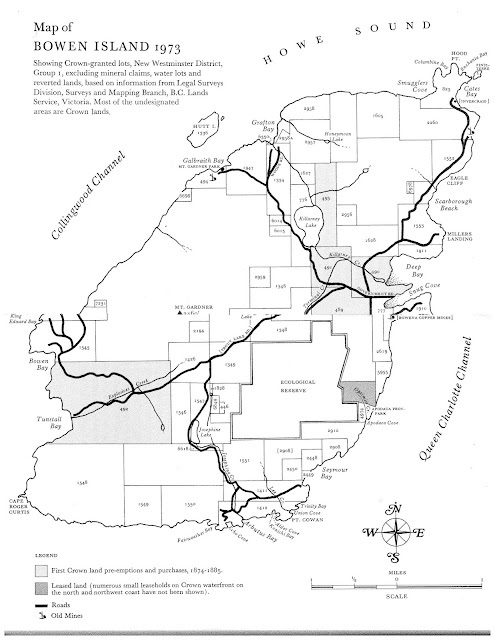 Click on the map below to enlarge. 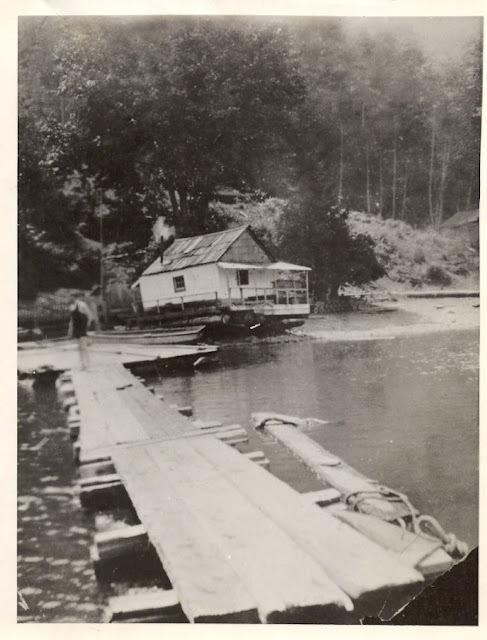 The Floreses lot (not the shack or cabin along the cove) is on DL 1426 which is below the Mt. Gardner elevation sign. This probably means the Floreses had a area for farming. Last April 11, 2016, I had tea and cookies with Irene Howard. 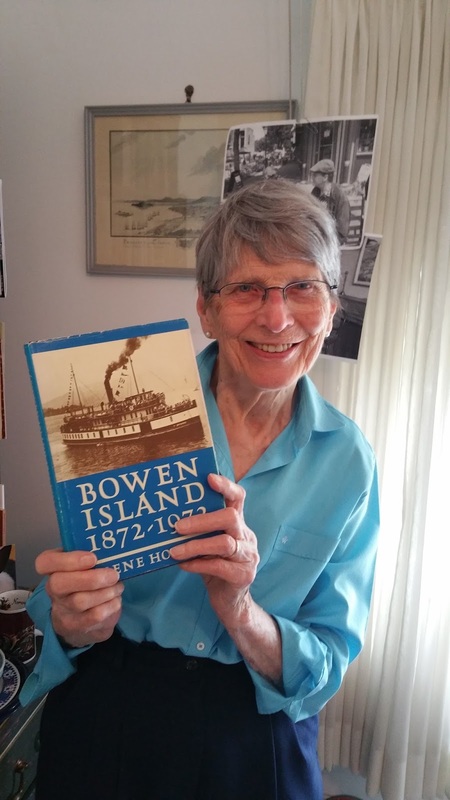 author of “Bowen Island 1872 – 1972”. At 92 she walks quite briskly now living in a lovely Seniors Home in South Vancouver. Her room had lovely pieces of furniture and wall art she bought through the years of raising a family. Upon the request of Bowen Island residents, Irene embarked on writing the book, taking her two years finishing the project in 1972. 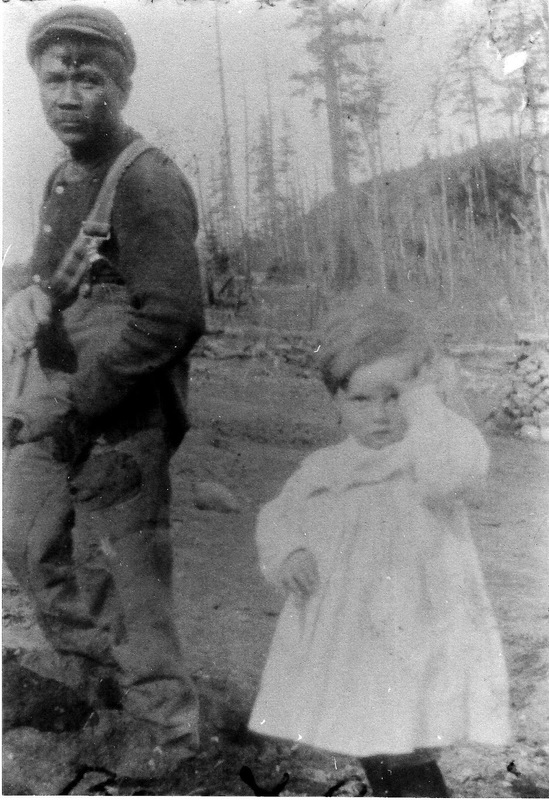 She wrote three other books including a story of miners in British Columbia weaving in the life of her family because her father was a miner too. Born from both Scandinavian parents, when asked what her mantra in life is: she said it is from a Norwegian saying, Livet Går Videre meaning Life Goes On Further or No matter what happens the world continues to spin. This is usually said as an uplifting advice to someone who is down. I asked Irene if she has any regrets in life. I asked her, Are you happy?